Candidates can check the Periyar University November exam result at the official website periyaruniversity.ac.in. 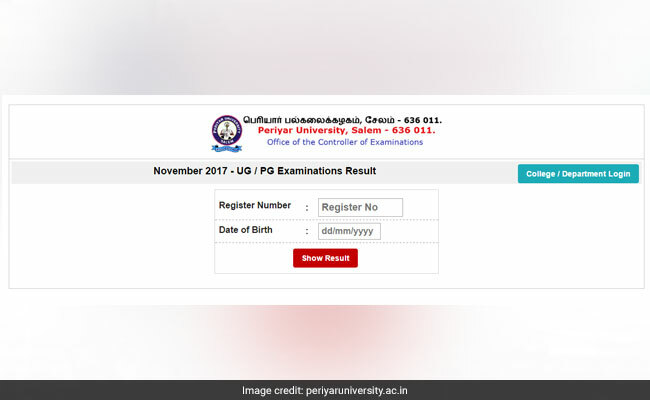 New Delhi: Periyar University results for the November 2017 exam can be checked at the official website of the University at periyaruniversity.ac.in. The University has declared results for UG, PG courses held in the month of November. The exam results will be available online and candidates may also receive it through SMS, like the April 2017 exam results. The official result page of the University yesterday displayed, 'November 2017 - Examinations Result will be Published Soon, Try after some time,' reads the official update. Candidates may face technical issues after result is declared due to multiple logins; in such cases they may wait for a while and retry later. The University had declared the exam results for UG, PG programmes in June 2017 for the exam held in April 2017. 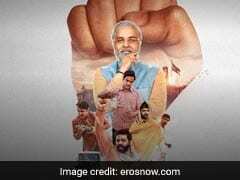 Students were intimated about the result via SMS as well. The supplementary exam result for UG, PG and MPhil programmes were declared in August 2017. As of now, the Periyar Institute of Distance Education Examinations, popularly known as PRIDE exams for this year which were supposed to begin on 28 December, stands cancelled. The University has not announced new dates for the examination. Concerned candidates shall have to wait for the official update in this regard. The University will announce the new exam dates at the official website. Candidates are therefore urged to monitor the official web portal for timely updates in this regard. Updates, if any, will be available at the official website periyaruniversity.ac.in.